Gone are the days when dogs were simply animals, now many people consider their dogs to be an integral part of the family. As a family member, many dogs are now celebrating birthdays, and in style too. In order to have a fantastic party there are some issues that require consideration, and a little bit of planning to do as well. 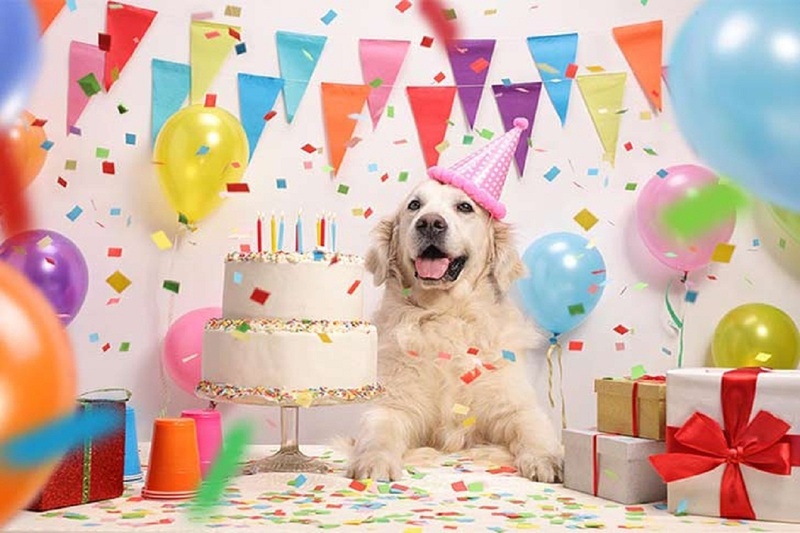 If you are getting ready to have a wonderful birthday party for your dog, here are some tips to help you along. • If you plan to have an outdoor party at a dog park or in your backyard, make sure that you have a contingency plan in the event of bad weather. • If you invite dogs that have not yet been spayed or neutered, make sure that you alert the parents of the other dogs at the party. Also, if you think that it is necessary, make sure that the parents of these dogs keep an especially close eye on their pet. • All dogs attending the party should have at least one person who the dog feels comfortable around present at the party. In case a guardian is not able to attend your party, the dog should not attend either. Unless you feel comfortable enough with watching the dog yourself, you do not one to be held liable if something happens to the dog. • During treat time, make sure that every puppy has his or her own treat. Also, allow each dog's guardian to give the threat to their respective dog. • In regards to the length of the party, you can plan the party for as long as you see fit, just keep in mind that dogs can become restless very easy. If you notice that many of the guests are getting cranky, don't be afraid to end the party early. One of the best parts of having a dog party is the fun activities you can plan for this special day. When you invite other canines and their humans to your party, tell them about the activities you have planned so they can come prepared. One excellent activity is to have a canine costume party. Dog's dressed in great outfits and hats are sure to bring smiles to all of your guests. Set aside time during the party, for a costume judging contest. Pass out ballots to all of your guests with categories like the funniest costume, most unique, and cutest costume. Give prizes to the winners of your dog costume contest in the form of treats and gift bags.